Finally! Sugar time has arrived. As the sap goes up the trees, at Octopus, it's an adrenaline rush that is raising the level of activity and creativity of the entire team. Before giving into your sweet tooth, we invite you to read the Spring 2018 newsletter. You will not want to miss this edition! Come see the unveiling of Octopus 5 and Octopus Mobile App! In addition to sessions on topics targeted to your interests, whether you work in Information Technology or not. Consult the program and the schedule to find out more. Looking forward to seeing you on May 28th! The new modern mode of the web portal is the latest fashion. Several people have already begun to implement it. Take advantage of Spring to clean up your request structure and revamp your portal using colours, tiles and descriptions to better guide your users. For more information, see the Web Portal - Setting up the modern mode article. This new feature will surely interest more than one. The library will be built in continuity with the fields used in the forms and also in an interface in Octopus. The library will be built in sync with the fields used in the forms as well as the Octopus interface. 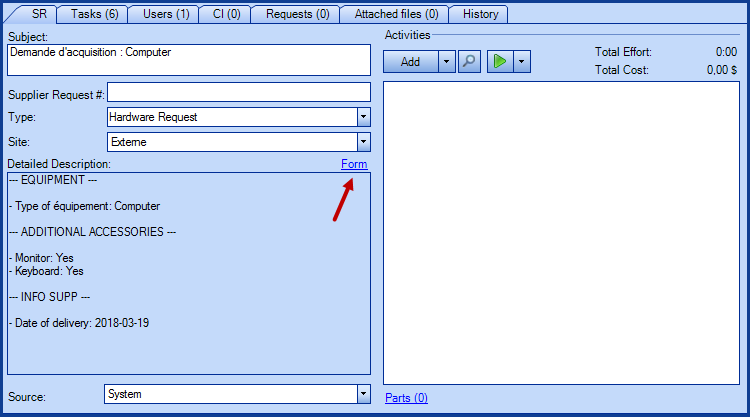 It will allow to use the answers given during the requests creation with a form, in advanced searches and in your lists. 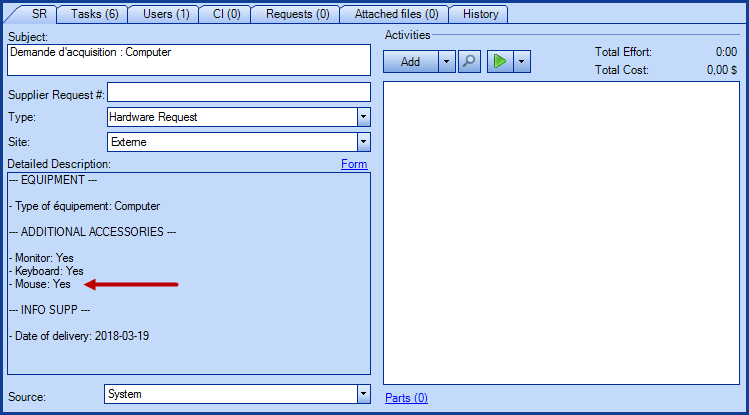 This functionality will also change the Detailled Description field of the requests and introduce the possibility of modifying the answers given by users when they filled out the form. The library will be available with version 4.2.270. Please note that there will be work to do on your side after the conversion; the effort will depend on the complexity and organization already present in your forms. Here's a taste of what the solution will look like. Please note that this solution is still in the development stage, so there may still be traces of French in some of the images below. 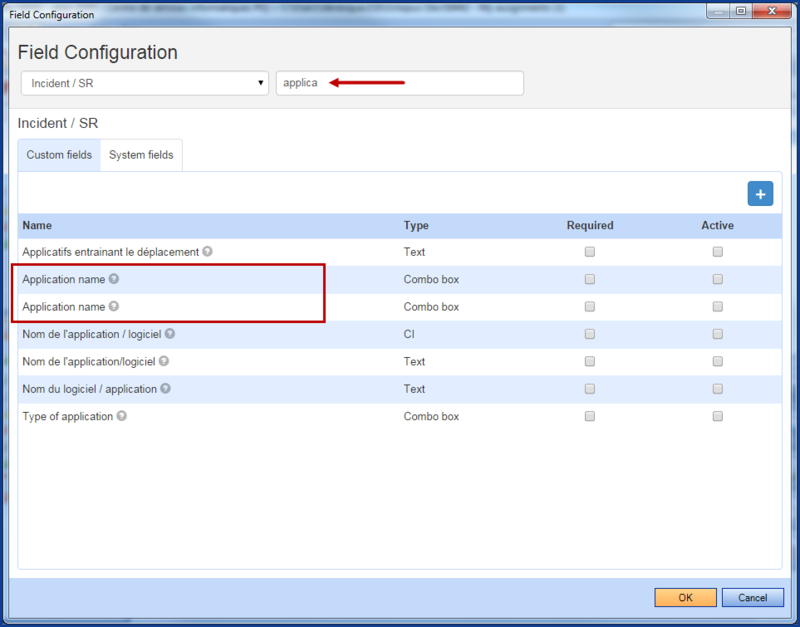 When configuring a form, it will be possible to add a field from a library. This library will be built from the fields that already exist in your forms. 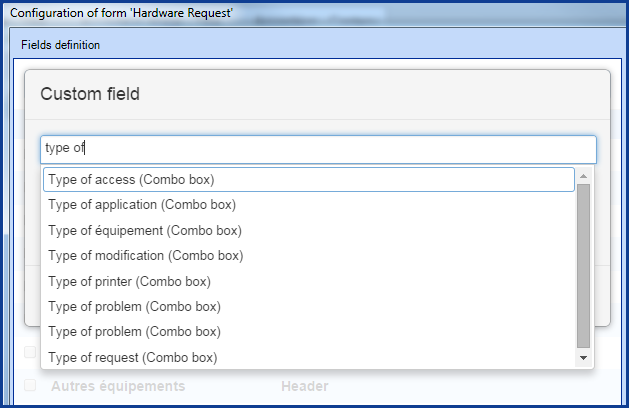 During the migration, the system will group identical fields. You understand why it will be important to clean up this new library. A new menu will be available to manage your fields and correct duplicates. 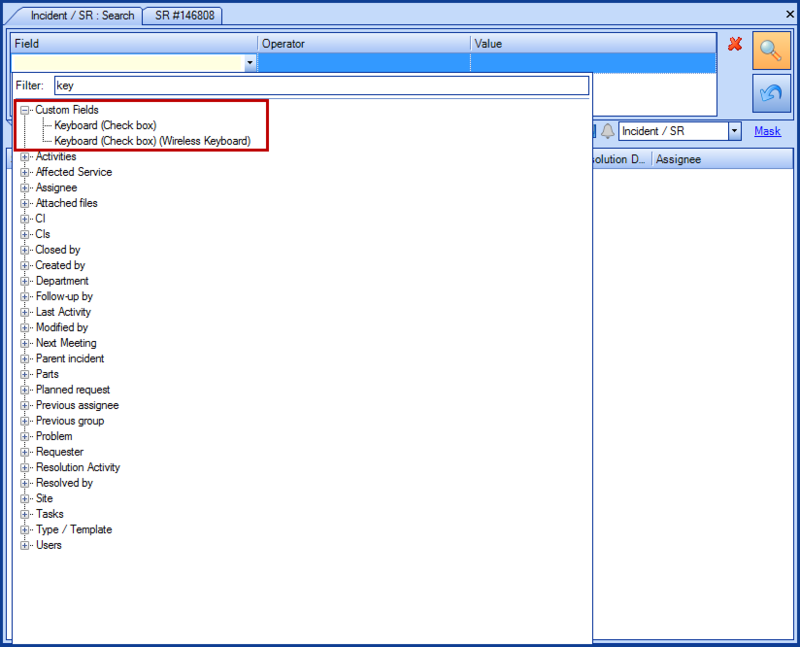 From this window, it will be possible to search and find if more than one field has the same name and type. From there, additional steps will need to be taken to understand why there are duplicates. 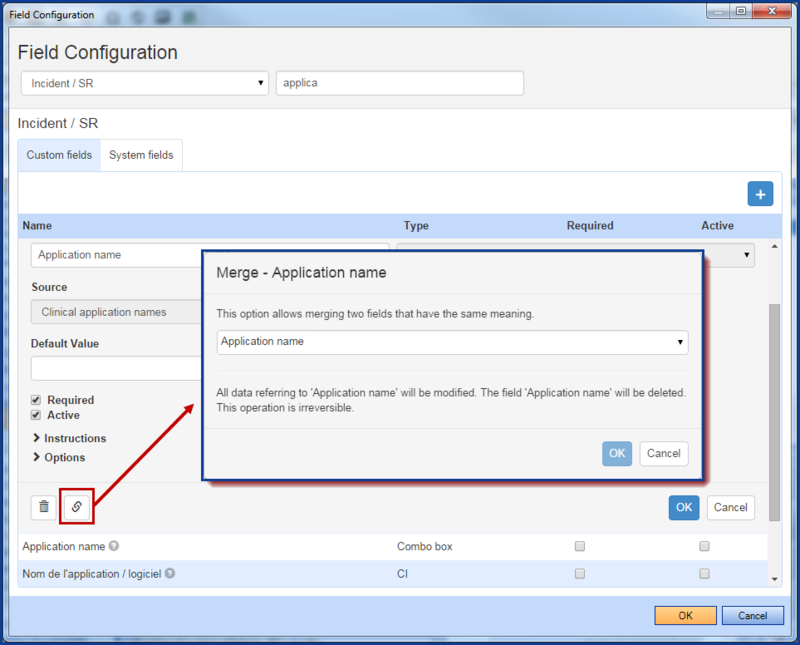 A merge action will be available to remove duplicates. There will always be a question mark to help you see in which form a field is used. The great thing is that all the fields from the forms will be available to search and to add as columns and will be grouped in the Custom Fields node. Finally, as the forms can now be edited, the Detailed Description field will be read only for all requests with a form that has been completed. To modify or add answers to a form, simply click on the link to open it again and complete it. Your answer will then be added in the description field as if it had been completed from the beginning. But an entry for this change can be found in the request history. We understand that this version will change the way you work, which is why the documentation and preparation steps will be available before the release of this new feature.